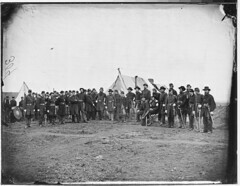 On August 14, 1862, my great-great-grandfather, Ira Sayles, volunteered “to serve as a soldier in the Army of the United States of America, for the period of THREE YEARS, unless sooner discharged by the proper authority.” The forty-four year old teacher from Alfred, New York joined others gathering at the recruiting station in Almond, Allegany County, New York. The blue-eyed volunteer swore that he would “bear true faith and allegiance to the United States of America” and that he would serve “them honestly and faithfully against all their enemies or opposers whomsoever.” He stood five foot eight inches tall, his hair still dark and full. Having pledged to observe and obey the “orders of the President of the United States, and the orders of the officers appointed over me, according to the Rules and Articles of War,” Ira Sayles signed his name. 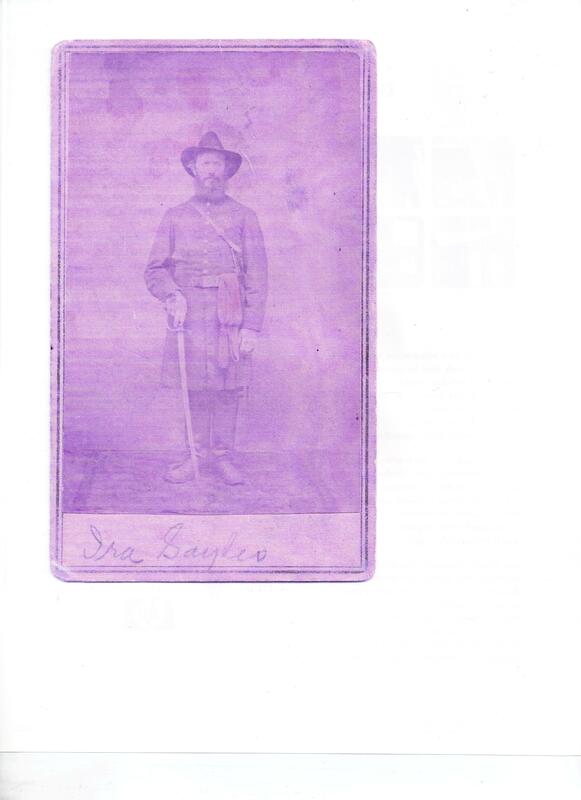 The next day Private Sayles was mustered into Company H of the 130th Regiment of the New York Volunteers Infantry. *** Thank you, cousin Sharon, for sharing this photograph of Ira Sayles. Growing up in southwestern Virginia I studied the War of Northern Aggression American Civil War twice before leaving elementary school. Book reports, timelines, war monuments, heroes’ homes, battlefields and class lectures were integral pieces of the Lost Cause/States’ Rights curriculum. None of that childhood education or my recent family research prepared me for the chaos I found myself in among the pages of 1861: The Civil War Awakening. 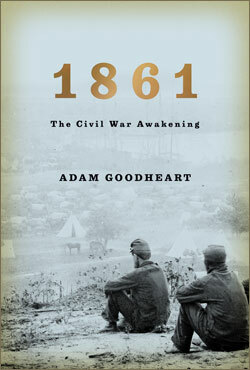 Adam Goodheart has stripped away 150 years in this great narrative, sweeping the reader into the sights and sounds, the worry and the hope of that year in America. Goodheart’s account of this year deftly uses such original sources to construct character and narrative; it is a lively, compelling story of our country’s descent into the madness of fratricidal war. A date burned into my brain by adrenaline and estrogen and progesterone, a hormone cocktail that pushed a new life into our world. In 1864, my great-great-grandmother, Mary Jane Gwynne Minor lay in her child bed. Her birthing team may have included a sister-in-law, a midwife, or perhaps a doctor from nearby Waynesburg, Pennsylvania. Her husband, Francis Marion, and other three children would have been sent from the home, as modesty dictated. At some moment, the brick farm house on Ceylon Lane was filled with the cries of the newborn son, and from that moment forward Mary Jane would remember April 15 as Leroy’s birthday. Leroy Minor turned one April 15, 1865, joy for his reaching this milestone in childhood survival dampened by news of Abraham Lincoln’s death that very morning. I wonder what Mary Jane thought of the war’s end, the president’s assasination, reconstruction’s beginning. Living in a household of northern Democrats I doubt that there was much concern expressed for the Freedmen, or much thought directed toward policies of reconciliation. The business of running the farm, raising children and supporting her husband’s cattle dealing would have been far more immediate than national politics and regional strife. By year’s end slavery, a national disease, was abolished from the soil of the United States by constitutional amendment . Mary Jane may not have paid much attention to this transformative moment, for her baby boy failed to thrive. Little Leroy Minor died in February 1866. Back when I was a kid, in the 1960s, every southern child learned about the yell, the high decibel, primal yell that rebel soldiers were reported to have uttered as they charged into the blue uniformed aggressors. Speculation held that it sounded like a pack of wild men; the eerie screams stopped Yanks in their tracks, made them reconsider their positions and examine their reasons for fighting. The Museum of the Confederacy in Richmond, Virginia has a vodcast in which this mythic cry has been recreated–and it is indeed eerie, primal, menacing. No wonder northern soldiers wrote home about it.